Five brands of Iranian hand-woven carpets have been registered as the worldˈs intellectual property, the head of Iranˈs National Carpet Center announced. 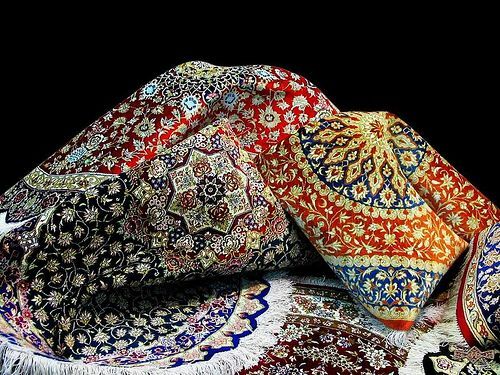 Referrig to the formation of a department to pursue registration of Iranian carpets as the worldˈs intellectual property, Mohammad Bagher Agha Alikhani said that Persian carpet is considered as a national asset and other countries producing carpets immitate Persian carpet designs. Hand-woven carpet is one of the leading merchandises in the world and Iran is the pioneer in this market, he said, adding that sanctions do not affect Iranˈs carpet exports due to its unique feature on the global markets. Persian carpets are exported to 70 countries in the world, 45 percent of which were shipped to Asian countries and 43 percent to European states worth dlrs 500 million in the past year.